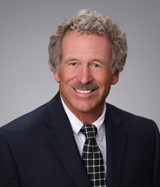 Jim specializes in multiple family residential income property sales. He’s also active in commercial property sales and leasing. Jim has sold more than 300 properties since 1979 at Stevenson Real Estate Services. He has extensive knowledge of local real estate and investment markets. © Copyright 2019 Stevenson Real Estate Services All rights reserved.